We can now offer an innovative Graphical User Interface (GUI) automation/universal remote system for custom control of audio / visual equipment, lighting, heating, CCTV, gate automation and access control. By using any smart phone, tablet or laptop we can now design a system to make your Audio Visual Lighting easy to use without the need for multiple remote controls or to have a techie at hand all the time. From a single button you start the whole or part of the system to a preconfigured present. Saving you time and the most importantly its take the pressure off you! Plus we can make the equipment turn off if there is no activity after a preset interval or at a preset time. 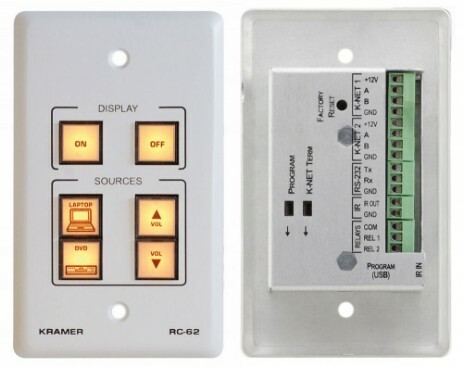 We have a range of simple to use 6 to 12 button panels. These are great for systems where you just need an easy to use button panel.